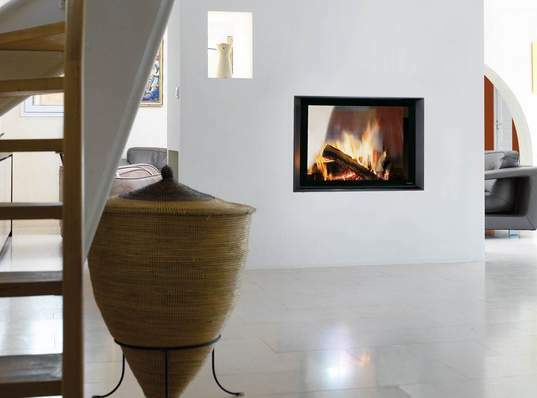 The Ulys 900 is a luxury, double sided, woodburning, inset stove. The doors open by sliding up and into the wall. The 14.9kW heat output makes the Fondis 900 double sided stove suited to the medium to large room but bear in mind that a great advantage of the advanced Ulys firebox design is that you can also run them efficiently at low output.